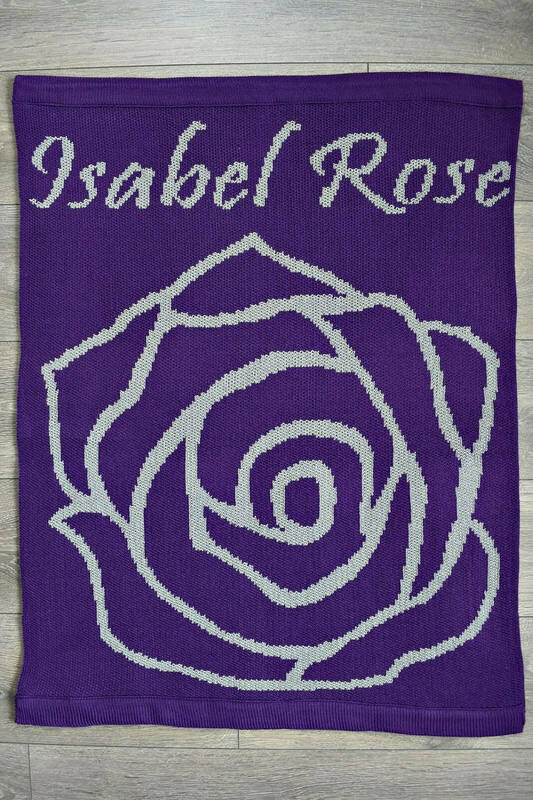 The Rose custom knit blanket can be personalized with the name of any baby or child and features a beautiful modern rose design. 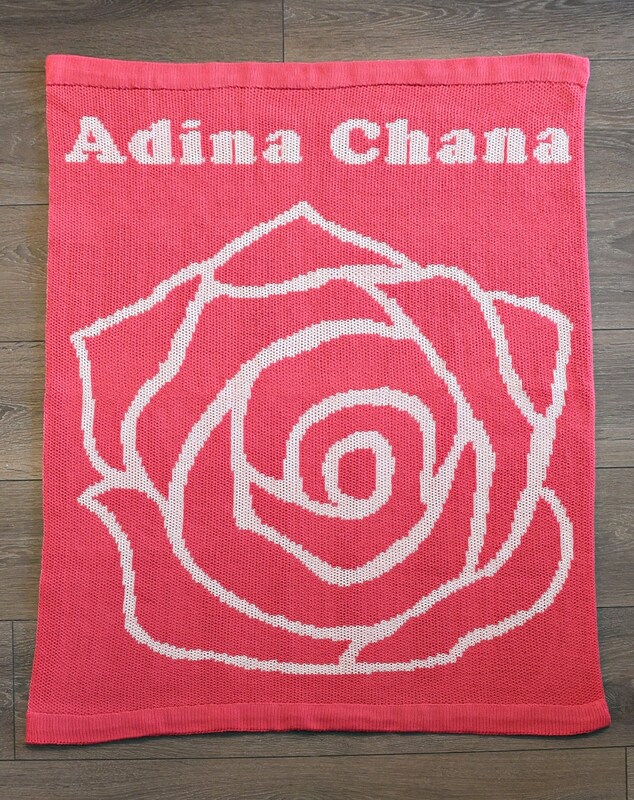 A custom blanket makes the perfect gift for a new baby, naming ceremony, birthday, or holiday. They are also a popular present for a new big brother or sister (matching blankets are available). 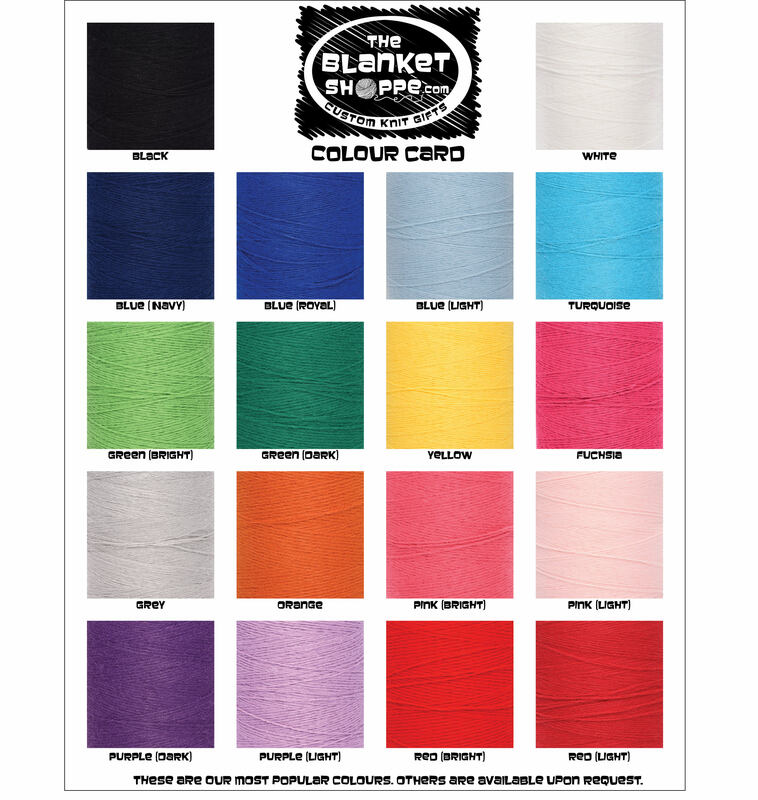 When placing your order, please include the custom name for your blanket in the notes section before checking out. You can include one or two names.